HÀ NỘI – Việt Nam’s property market will see more sale launches and transactions in the second quarter of this year, the Việt Nam Real Estate Association has forecast. At a conference on Friday, Nguyễn Mạnh Hà, the association’s deputy president, said the realty market would be bolstered by the stable macro-economic situation, rising number of tourist arrivals to Việt Nam and foreign direct investment into the property sector. He cited statistics showing that Việt Nam had received more than 3.2 million foreign tourists in the first quarter of this year, up by 29 per cent over the same period last year. FDI inflow jumped by more than 91 per cent to a total of US$334 million in the January-March period. Hà said the slowdown in transactions in Q1 was because of the nation’s biggest holiday, which fell in late January. However, the market started to get busier from March with more transactions and property developers gearing up for sale launches in the coming quarters. He said projects which benefited from infrastructure development, such as those along rapid bus and metro routes, had good liquidity. 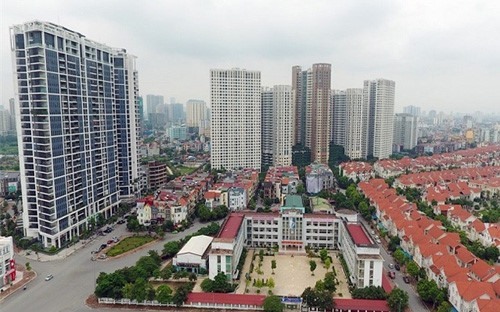 Several developers were expected to develop and release a huge supply of affordable homes, which would contribute to improving transactions and market liquidity, according to the Việt Nam Association of Property Brokers. Regarding tourism property, the association anticipated strong development, driven by the dynamism of foreign developers as well as the rising middle-income class in the country. The property sector ranked the sixth most discussed topic on social networks in the first quarter of this year, based on a survey by SocialBeat, according to the association. Apartments and resort property were the two most discussed segments, with 33 per cent and 24 per cent share, respectively. Affordable housing segment attracted significant market attention, especially information about the location of a project, planning, facilities, handover time and sale policies.